This tutorial video will help you with the functions of Mobot Xtreme X4 electric scooter. 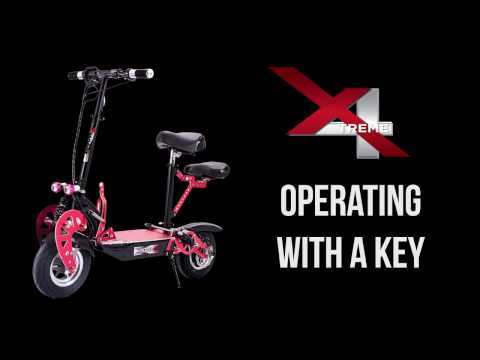 It shows the basics of operating your own Xtreme X4. There is the key start up switch on and off, folding and unfolding and different buttons given. Safety is important, so to ensure your full safety, please do learn and understand these tips before riding this electric scooter.